Perpetually Perusing Panthers | A blog for NTS Library patrons! 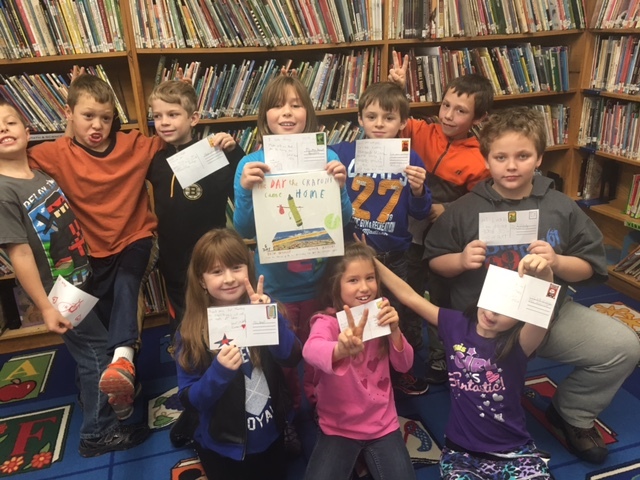 On November 17, Morrisville, Vermont resident Grannie Snow visited Newport Town School. Snow is the author of a series of picture books entitled “The Adventures of Silas and Opal”, the third of which was just released a few months ago and the fourth of which is on its way. The books feature Snow’s cats Silas and Opal, the first of whom was adopted from an animal shelter and the second of whom was adopted from a house full of cats. Snow read her books to and discussed them with an assembly of kindergarten through 3rd graders. After her presentation, Amy Mariotti of the Pope Memorial Frontier Animal Shelter in Orleans presented about the importance of animal adoption. After the assembly, Snow visited 4th grade’s library class and spoke to them about self-publishing. Snow did the same with a class of 5th and 6th graders. We were so pleased to have Grannie Snow visit and wish her all the best in her future endeavors! For more information about the series or to have Grannie visit your school or library, visit her website. 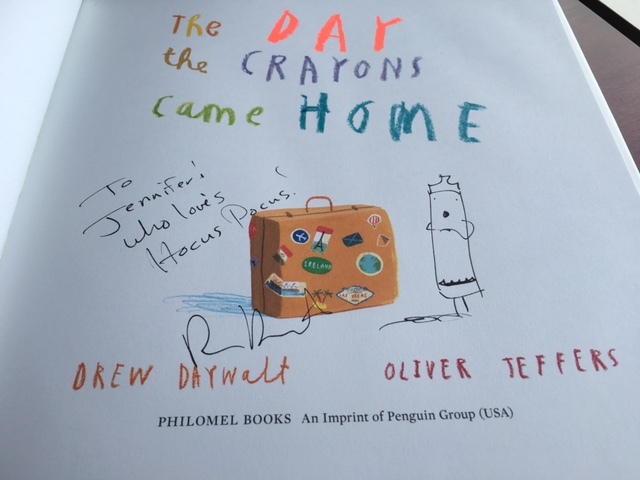 I met the fabulous Drew Daywalt at the Red Clover Conference this year (his book The Day the Crayons Quit won the 2015 award) and was able to buy his new book The Day the Crayons Came Home. He even signed it for us! 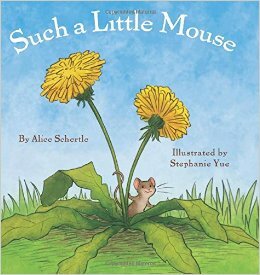 I decided to read this to my 3rd grade class today and they LOVED it. I find that Daywalt’s books have a humor that appeals more to older kids and adults, so I thought trying it out with 3rd grade would be a good experiment. And it definitely was a success! In the book, different crayons that have been lost by their young owner write postcards to him, beseeching him to rescue them from under the couch, from the basement, and elsewhere! To complement this, I printed out postcard templates and cut them out and had my class write a postcard to someone in the building. Most of them chose our principal and her dog, but others chose their teacher and one chose their sibling (aww!) Here we are holding the book and our postcards. Of course, we tweeted our photo to Drew Daywalt (@drewdaywalt) to show him how much we loved his book! This is a great activity to do with 3rd graders if you have a good 30 minutes. Good luck! 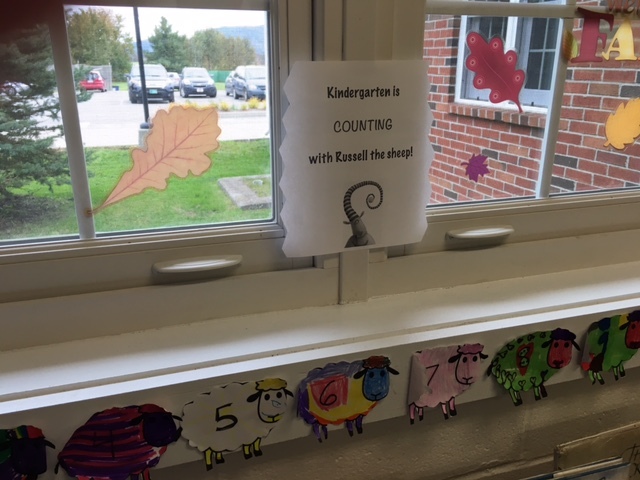 On October 17 I headed to Thatcher Brook Primary School (K-4) in Waterbury, Vermont for the Vermont School Library Association conference. It was a great day with a small but talented group of school librarians from around the state, from the elementary level to secondary level. The first session was led by Linda McSweeney, a former president of VSLA. Instead of talking at us, however, she had us go on “speed-dates” with the American Association of School Librarians’ (AASL) top web sites and apps of 2015. As we perused each resource, we ranked our impressions and thoughts and considered how we would use it in class or who we would recommend it to in our buildings. I didn’t get a chance to look at all of the resources, unfortunately, but I looked at a bunch and some really stood out. One was called BeenPod, a tool you can use to organize web pages. Each “been” holds several “pods”, or links to websites. This would be invaluable as a student organized resources for a research project and would make writing a works cited page much easier. Another I quite liked was Booktracks, where students can upload their writing and set it to music. There were two great STEM resources that were absolutely incredible, BioDigital Human (which displays a model of the human body and highlights different systems and conditions that occur in the system) and PhET which has several models and games for science and math concepts. I learned so much and can’t wait to share these resources with staff! During an “unconference” time, I met with a librarian from South Burlington and talked to her about the Red Clover Award and projects to go along with this year’s nominees. I also learned about the Global Read-Aloud Project, something I am considering suggesting for next year where students can read and collaborate with students all over the world on a selection of titles. She says that this is more intuitive for the kids and that it is much easier for them to find materials in the library. 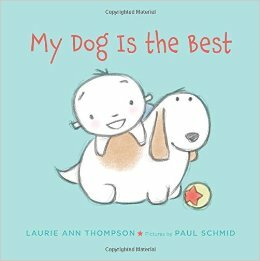 She also says circulation of previously-uncirculated titles has improved–kids are finding poetry in the “animal” section and checking it out, etc! There were many challenges, too, and the process can get expensive if you use Metis’ labels and signage– but if you improvise, it could work on the cheap. I enjoyed myself at this conference and learned about so many great resources. I can’t wait to have more librarian time at my district’s librarian inservice this Friday! 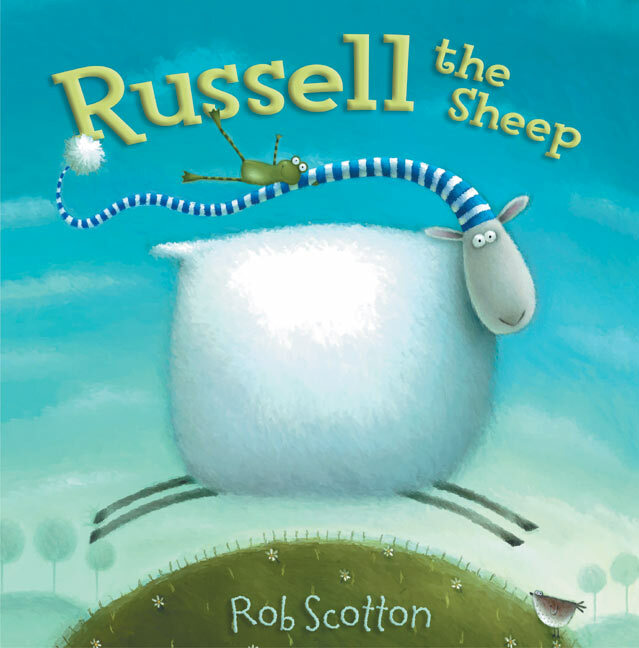 Rob Scotton’s Russell the Sheep is an amazing book to read with kindergarteners. The language is just right for them and the pictures are very silly. In a continuing effort to incorporate math throughout the curriculum, I used this book to practice counting. Russell counts sheep in the book to try and fall asleep, so I had kindergarteners count the sheep as I handed out blank pictures of sheep for them to color. 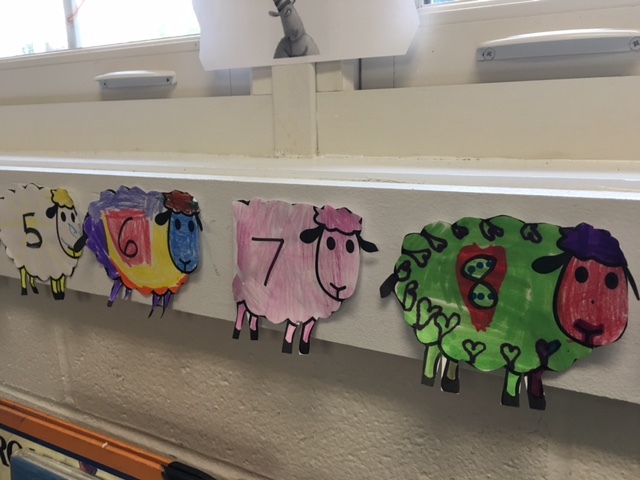 Each sheep had a number on it, and I displayed them in order in my library. The kids loved having their own number and getting to color (of course.) Just an idea that worked well with my kids! On October 7, I had the pleasure of attending the 2015 Red Clover Award Conference in Fairlee, Vermont. The Red Clover Award is an honor bestowed by Vermont schoolchildren on the best picture book of the year– out of a batch of ten very strong nominees! Click on the above link to see the RC website and this year’s nominees! 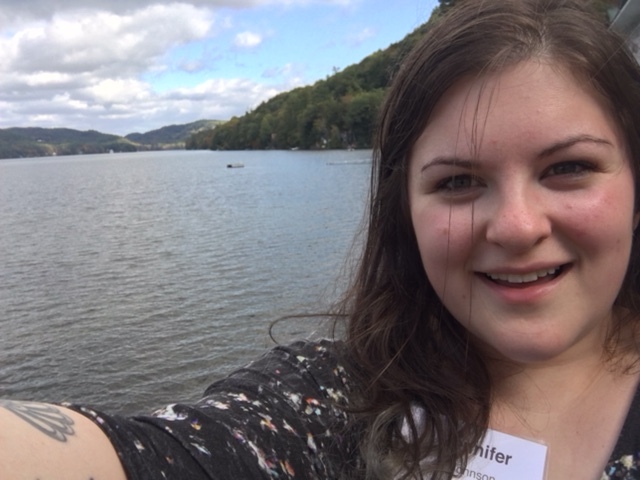 I visited the Lake Morey Resort for the DCF Conference earlier in the year, and it was so wonderful to be back. It is absolutely beautiful and the staff is amazing. Here I am enjoying the wonderful weather by the lake! The keynote address was by the winner of this year’s Red Clover Award. Drew Daywalt wrote the incredible The Day the Crayons Quit, and his keynote was just as engaging. He spoke about his time in college under the mentorship of Jack Gantos (!!!) and how Mr. Gantos knew early on that he would be a children’s author. However, he was dead set on a career in Hollywood, and Mr. Daywalt spent several years in California. He was a PA on the set of “Hocus Pocus”, a screen-writer for several projects, and a director. But when Crayons (a side project) was finally accepted after years of being shopped around to publishers, Drew (and Jack Gantos of course) knew that he was set on a career in children’s literature. I bought his second book The Day the Crayons Came Home for my school and for myself. Here is a photo of the title page, which he signed for me! My first workshop was about using technology to work with the RC books. The presenter showed us the RC website where there are plenty of online activities to do with kids. 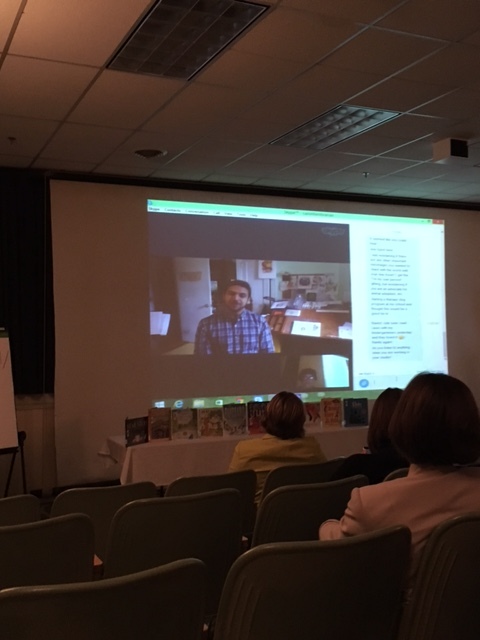 We also got to Skype with author David Ezra Stein, who wrote one of this year’s nominees I’m My Own Dog. My second workshop was with one of my favorite library people Sharon Colvin, the Youth Services Director at the Vermont Department of Libraries. She had found a plethora of activities to do with the RC books! You can see them at the VT Dept. 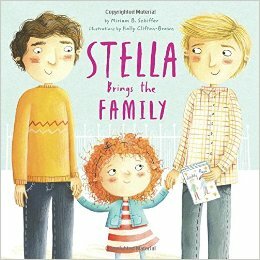 of Libraries site here, as well as some educator resources. Some of my favorites were creating a storytelling jar with prompts for writing (Miss Brooks’ Story Nook) and a family tree out of a paper towel tube and popsicle sticks (My Grandfather’s Coat.) Sharon also gave me three free books at this event! You can see them below. The endnote address was by Vermont poet Geoff Hewitt. He recited some of his poetry and gave a lot of suggestions for promoting poetry and literacy in schools: the entire school, even staff, should write non-stop for seven minutes each day, it is okay to break the rules when it comes to writing poetry, and providing lots of prompts. I had a great time at the conference and learned so much. I can’t wait to share these books with my students!